On Friday, February 1st, the Viennese Opera Ball held their 64th edition in New York City at the Cipriani 42ndd Street, under the gracious patronage of H.E. Alexander Van der Bellen, President of the Republic of Austria. 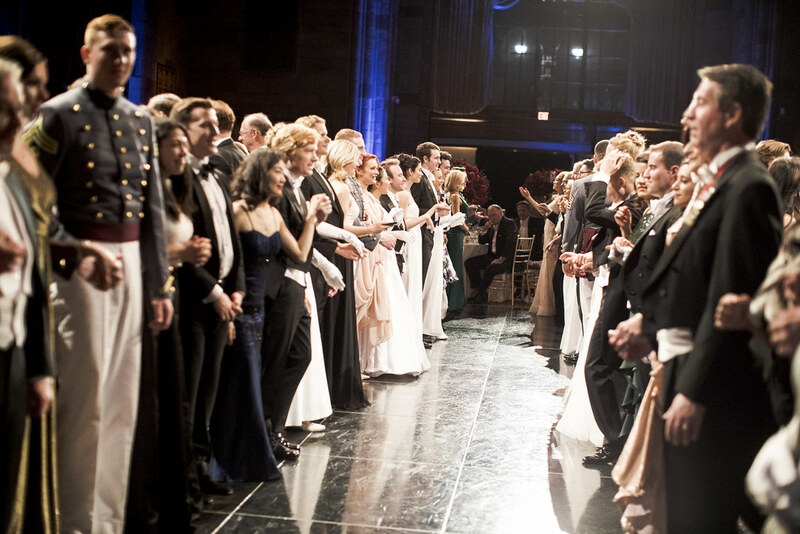 The Ball, which is the oldest white tie charity gala in New York, benefitted the music therapy program at Memorial Sloan Kettering Cancer Center with support from Gabrielle’s Angel Foundation for Cancer Research. This year’s Honorary Ambassador was Somali model, author, actress and social activist Waris Dirie. The Guest of Honor was Italian Bass opera singer Ferruccio Furlanetto, and New York philanthropist Jean Shafiroff was the event’s Chair. 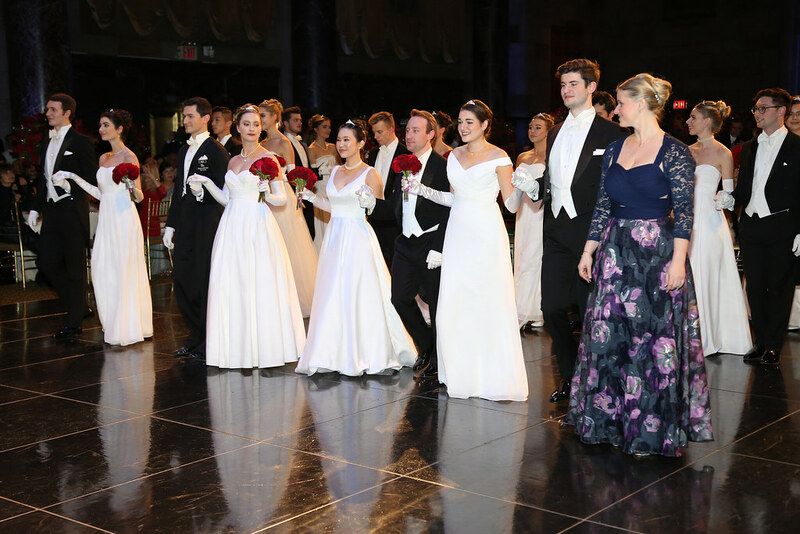 Led by Silvia Frieser, President and Executive Director, and Daniel Serafin,Artistic Director, the ball celebrated 12 debutantes and their escorts including Dina Merrill’s granddaughter Siena Rumbough, Veronika Bondarenko, Rachel Engelberg, Mollie Inga, Katherine Ann Johnson, Lily Jumean, Blair Kennedy, Deborah Kim, Magdalena Saltskog, Alexandra Sofine, Jolie Jacqueline Vanier and Bianca Waechter, Rabih Aouad, Samuel Boaknin, Derek Cinader Brooks, Robby Dunbar Jr., David T. Escamilla, Valentine Hernandez, Michael Huber, Marc Mayral, Michael Li, and Hubertus Pribil, as they made their formal debut to international society. The event hosted nearly 400 guests from Europe and America, including Congresswoman Carolyn Maloney, New York State Assemblywoman Rebecca Seawright and her husband Jay Hershenson, Janna Bullock with her daughter Zoe Bullock, Lucia Hwong Gordon, Leah and Stanley Rumbough, Maria and Kenneth Fishel and Cornelia Sharpe Bregman. European attendees included Countess Michelle Czernin von Chudenitz Morzin and Dr. Helmut Boeck and his wife Barbara Boehm-Boeck. Following the VIP reception, guests sat at beautifully decorated tables featuring red rose centerpieces, and the West Point Cadet Color Guard marched and rose their flags before the National Anthems of the United States, Austria and Europe. Mr. Serafin welcomed and thanked the debutantes, escorts, guests, and the Divertimento Viennese orchestra before Ferrucci Furlanetto rose to perform Sarastro’s aria from Mozart’s ‘The Magic Flute.’ The debutantes and escorts then made their entrance, led by choreographer Sandra Stockmayer, who also acts as choreographer for the Vienna Opera Ball, and performed the Alles Waltzerbefore sitting down to enjoy a four-course dinner featuring Austrian specialties. Mr. Serafin presented Ernst Woller, President, Viennese City Council, to the stage, who spoke about the enduring importance of the Viennese Opera ball in New York in fostering and maintaining cross cultural relations. He then welcomed Event Chair Jean Shafiroff to the stage, who thanked Austria for its support of the Ball, which represents a great friendship between America and Austria. Mr. Serafin then presented Karen Popkin, a music therapist with Memorial Sloan Kettering Cancer Center, who spoke about the work the center does and how all donations can make a difference. Guests were then guided through the Midnight Quadrille by Roman Svabek and Sandra Stockmeyer, before continuing to dance into the early hours of the morning to music by DJOlivier Moenner. The evenings Honorary Committee consisted of Dieter Beintrexler and Elisabeth Hirst von Neckersthal, President, U.S. Austrian Chamber of Commerce, The Honorable Helmut Boeck and Barbara Boehm-Boeck, Consul General of Austria in New York, Ingrid Flick, Flick Private Foundation, Michael Friedl and Amel Derragui-Friedl, Austrian Trade Commissioner in New York, Sabine Haag, Director General of the Kunsthistorisches Museum Vienna, H.I.R.H. Archduke Géza von Habsburg and Elizabeth von Habsburg, Michael Haider, Director, Austrian Cultural Forum New York, The Honorable Peter Hanke, Executive City Councillor of Finance, Economic and International Affairs, The Honorable Karin Kneissl, Federal Minister for Europe, Integration and Foreign Affairs of the Republic of Austria, H.E. Jan Kickert and Latica Tomasic-Kickert, Ambassador of Austria to the United Nations, The Honorable Sebastian Kurz, Federal Chancellor of the Republic of Austria, The Honorable Michael Ludwig, Mayor of Vienna, The Honorable Johanna Mikl-Leitner, Governor of the State of Lower Austria, The Honorable Dominik Nepp, Vice Mayor of Vienna, Ewald Nowotny, Governor of the Oesterreichische Nationalbank, Michael Otter, Director General, Advantage Austria, Austrian Federal Economic Chamber, Stefan Ottrubay, Director General, Chairman of the Board, Esterhazy Foundation, Sandra Peterson, General Manager, Erste Group Bank AG, NY Branch, Christian Poettler and Ursula Poettler-Fellner, Echo Medienhaus, Renée Price, Director, Neue Galerie New York, Danielle Spera, Director, Jewish Museum Vienna, Christian Strasser, Director, Museums Quartier Vienna, Max and Sissy Strauss, Former Artistic Liaison at the Metropolitan Opera New York, H.E. Trevor D. Traina, Ambassador of the United States in Austria, H.E. Franz Vranitzky, Former Chancellor of the Republic of Austria, and H.E. Wolfgang A. Waldner and Gudrun Faudon-Waldner, Ambassador of Austria to the United States. Since 1955, the Viennese Opera Ball in New York has been a representative of Vienna’s cultural legacy, elegance, and glamour in the Big Apple. The Ball operates as a cultural platform and builds bridges to connect present day New York City with 19thh Century Vienna, and people of varying heritages, continents and generations, to bring traditional glamour to the city that never sleeps.